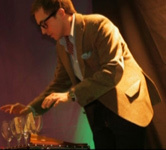 With 7 years of experience in magic, Radek Makar offers cabaret/close-up/corporate entertainment to customers across North East of Scotland (Aberdeen, Aberdeenshire, Angus, Banffshire, Kincardineshire). 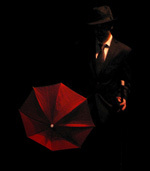 If you are looking for a skilled sleight of hand artist he is a perfect choice! Cabaret magic: the fusion of mysterious music, magic and humour in a truly magical performance. Close-up: close-up magic might be less spectacular than stage magic, but is definitely more convincing. It's right there in spectators hands. Weddings: With some of the most romantic tricks, Radek makes weddings even more magical. Carl Howse specialises in ‘close-up’ magic for adults and families and ‘entertaining children’ where he performs as ‘The Great Hootini’ . This magic show is very funny and interactive and includes ‘Henry’ the real white rabbit. He also makes excellent balloon models and can do a kids disco and party games. Carl is available for most events, corporate and private, including: Birthday Parties – BBQ’s – Weddings and any type of event where he can mix with the guests or do a stand-up cabaret style show. Please book early to avoid disappointment. We are a young magical duo based in Aberdeen/Aberdeenshire. Tom Procter (15) and Marcus Gordon (14) will provide an excellent talking point at your event and can perform nearly any type of magic. Please fell free to contact us.